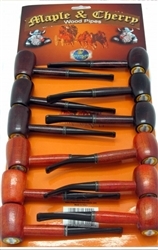 Our Cherry and maple wood pipes are a great quality discount alternative to high end briar pipes. 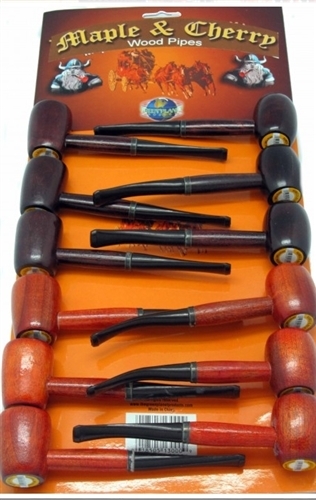 These cherry wood pipes are lightweight on the teeth but are heavy enough to give them a sturdy feel. Each cardboard display card has 12 cherry wood pipes.